The Southern Vermont Economic Development Summit is a daylong event for municipal, community, and business leaders that will focus on the region’s developing economy. 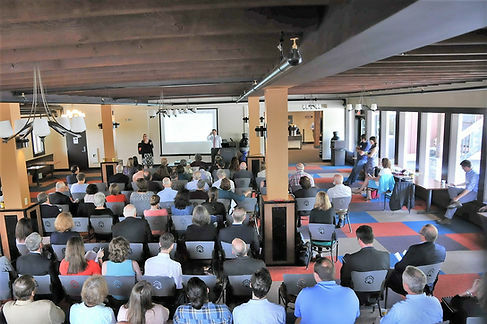 This year’s topic is Growing Southern Vermont’s People, Potential, and Partnerships. The day will highlight projects with innovative and unique partnerships, and initiatives and ideas that focus on growing the population and improving the economic outlook for Southern Vermont communities.The day will close with a reception co-hosted by the Southern Vermont Young Professionals and Shires Young Professionals, celebrating notable achievements by some of Southern Vermont's up-and-coming community and business leaders. One of the afternoon sessions will feature a panel on Tech and the Rural Economy.